There is a political need for Malcolm Turnbull to enhance the position of Immigration Minister Peter Dutton. Between his meetings and public appearances while overseas, Malcolm Turnbull has been mulling over some domestic questions in the security area, notably whether to set up a so-called home office or homeland security super ministry. There appears to be no serious, disinterested push for such a new arrangement, because there is not an existing problem. Federal agencies are working well together, and change can be a distraction from the more pressing tasks at hand. But there is a political need for Turnbull to enhance the position of Immigration Minister Peter Dutton – a senior conservative whose continued support is vital for the embattled Turnbull. Such a mega-portfolio, based around Dutton’s present immigration and border protection job, would see ASIO transferred from the attorney-general to come under the new umbrella portfolio, while the Australian Federal Police would be moved from the justice minister. Both of these agencies are independent entities and would remain so. When this issue arose before, in 2014 – in those days it was Scott Morrison with the sharp elbows – the ministers who’d lose parts of their empires, Attorney-General George Brandis and Justice Minister Michael Keenan, as well as the agencies affected, didn’t want change. There’s no reason to think they have altered their opinions. Foreign Minister Julie Bishop was also opposed, and remains so. Turnbull now has the report from the review of the Australian intelligence community by former officials Michael L’Estrange and Stephen Merchant. He has asked for a summary to be prepared by next week, so the public release of its findings may be close. It is believed the L’Estrange/Merchant report does not make any recommendation for a super-portfolio. While in London this week, Turnbull has the chance to hear about the operation of the British home office. The British model would be more relevant than the American version if Australia went down this route. In a 2014 Australian Strategic Policy Institute (ASPI) paper, the cases for and against change were presented by David Connery, then a senior analyst at ASPI (now in the defence department), and ASPI director Peter Jennings. Connery argued that having one minister responsible for the domestic security and law enforcement agencies would be superior in terms of accountability, coherence and co-ordination. While Turnbull would maintain this is about getting ahead of an ever-more difficult challenge, it also reflects the desire to be seen to be doing something. The issue of a home office/homeland security portfolio has usually been talked about in the same breath as a ministerial reshuffle. Yet Turnbull, on all indications, is delaying the reshuffle until late in the year, complicating any change to the scope of Dutton’s portfolio. It would clearly be easier, for example, to take ASIO out of the attorney-general’s area when there was a change of attorney-general than while Brandis is there to kick up a row. But Turnbull can’t wait for months to provide a response to the security report, given the emphasis the government has put on the threat. And, in his difficult political situation, he would presumably want to throw at least a small bone to Dutton sooner rather than later. An option, if Turnbull wants to boost Dutton without a wholesale shake up of the architecture, would be to give him a co-ordinating role on counter-terrorism. This was suggested by Jennings in an article on ASPI’s website The Strategist in January. He also floated the idea of a counter-terrorism subcommittee of cabinet’s existing national security committee. A matter that certainly shouldn’t wait is the appointment of a new secretary of the defence department to replace the well-respected Dennis Richardson, who retired in May. While there is an acting secretary, it is impossible to justify leaving this position open much longer. This is especially so in light of the current high level of international strategic uncertainty. 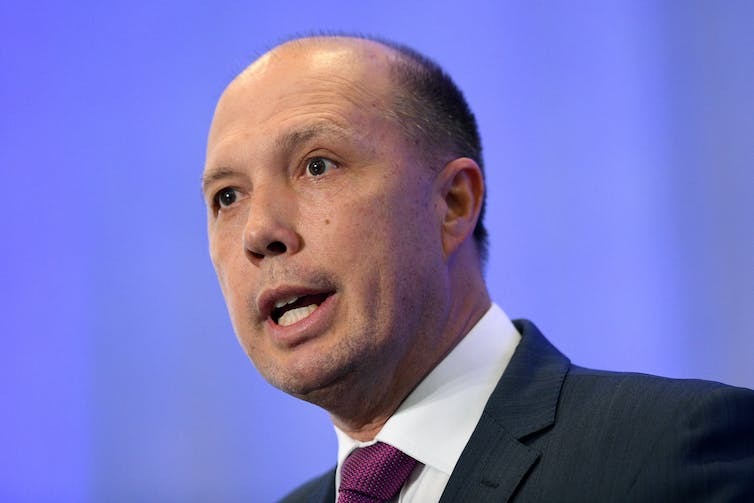 It is said the defence job is down to a two- or possibly three-horse race, between Dutton’s departmental secretary, Mike Pezzullo, Jennings, and perhaps Martin Bowles (who heads the health department). Jennings is a former very senior defence department official; ASPI was involved in the drafting of the 2016 Defence White Paper. Pezzullo is an aggressive bureaucratic player who was central to the Rudd government’s defence white paper. Moving to defence would not only fulfil his long-time ambition but enable him to leave behind some of the animosity that the immigration post has brought him.